Your pastor search interviews are where the real work of the pulpit committee begins. Up until now you have laid the foundation for choosing an appropriate candidate. You know your procedures. You’ve gathered resume’s. You’ve ruled out a number of applicants. You sent a questionnaire to all the possibilities. Now you are either on a phone call or face to face with someone you want to interview. You must know in advance what questions you will ask. You need to know in advance what information you need to know. Here are some suggestions about how to handle interviews. Determine how many interviews you will have with an applicant before he is asked to be fill the pulpit or become a candidate. I typically recommend that you have two separate interviews on two separate occasions. That will give the committee a chance to discuss the first interview before a second is scheduled. Make sure you ask theological questions. I find it odd that pulpit committees can go through an entire interview process and never ask a single question about the theological beliefs of the candidate. Don’t assume that they are in agreement with you. Ask questions. Even if they’ve said they agree to your doctrinal statement, still ask questions! Make sure you ask questions about spiritual gifts and talents. Make sure you clearly learn what style of leadership the applicant utilizes. Is he a take charge kind of guy? Does he expect board members to follow his lead or is he a leader among equals? Does he lead along side others? Does he lead through bible teaching? What is his style of leadership? While many of your theological questions can be asked in a questionnaire, some questions need to also be asked in a face-to-face meeting. These might include the following. What do you believe about creation? Did God create the universe in seven literal days? What do you believe about divorce? What do you believe about the rapture and other future events? What do you believe about spiritual gifts? Are the sign gifts (speaking in tongues and/or healing) active today? Is speaking in tongues a sign of salvation? What do you believe about the Trinity? How is salvation accomplished? Find out how much emphasis he puts on evangelism during Sunday sermons and during the week. Discuss worship styles – does he prefer contemporary, traditional, or blended? 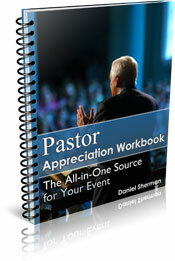 Talk about the pastor salary and benefit package you offer during your pastor search interviews. 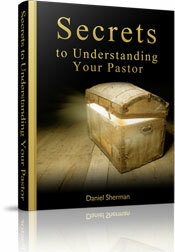 In your pastor search interviews ask questions about his family. Is his marriage solid? Are his children active Christians? What is the most difficult challenge he faces in his family life? How does he balance time between ministry and family? Is his or her spouse completely committed to moving to a new ministry? If you are interviewing someone who has already served as a pastor, ask about habits and priorities. How much time does he spend in study each week? What day or days does he generally take off? How often does he get away for prayer and restoration? Find out his desires for the worship service. Does he want to make changes? Does he want to be involved in selecting the music? Does he need to approve music before it is used in a service? How much vacation time does he want? This should be tied to his or her benefit package. 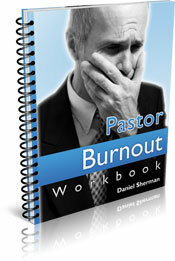 Discuss why he wants to leave his current church if he is a pastor. If he has pastored more than one congregation, why did he leave each of his ministries? Talk about his education. Why did he choose the school he attended? Did you agree completely with their doctrinal position? You can use this to find out a little more about his beliefs. Ask what grades he achieved. Ask if he has loans that he needs to pay off. If he does, you should take this into consideration when developing your pastor salary package. What type of sermons does he like to preach? Does he prefer topical, expository (verse by verse), or narrative (telling stories)? How often does he want a break from preaching? As your pulpit committee prepares for the pastor search interviews, be sure to take time to write out the questions you want answered. There are many more than what I’ve included here. However, this list should give you a head start and be a help to create ideas for other questions. As you complete your pastor search interviews, move on to creating church and community profiles.